The Kia Ceed is no longer seen as a budget car option but a genuine class contender. The entry level model comes well equipped with DAB radio, Bluetooth, USB connections, air conditioning and a cooled glove box as standard. The interiors general feel is of a high quality and is well laid out. Your engine choice is varied, with petrol and diesel variations on offer. The GT version has a 201bhp turbo charged engine which offers superb performance. The most fuel efficient is the 1.6 litre CRDi Diesel which returns up to 78.5mpg. Boot space is being a well-shaped 380 litres however lower the 60/40 split seats and you have instant access to 1,318 litres of space. Kia offer a fantastic 7-year warranty such is the build quality of their cars. 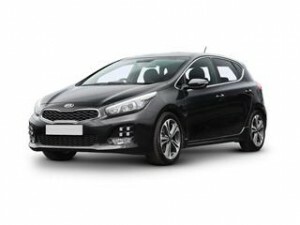 Coast2Coast Cars could make it as much fun to buy the new Kia Ceed as it is to drive. Our network of dealers throughout the UK has various options that could save you hundreds or even thousands of pounds in the purchase price. It takes just minutes to get your quote online with no obligation at all at any point even when we have displayed the prices. You could also have finance options subject to status should you wish to purchase using finance.